« Older: Despite warning from the PM, BTV’s expedition to the border is a go! Belmopan. Friday, April 29, 2016. The Government of Belize announces that, after consulting with the Prime Minister, His Excellency the Governor General of Belize has made Regulations under Section 2 of the Public Safety Act, Chapter 142 of the Substantive Laws of Belize, RE 2011. 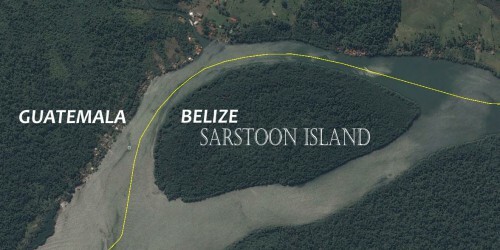 The regulations prohibit persons and vessels, without lawful authority, from entering into Belize's portion of the Sarstoon River. The regulations take effect from today and the restrictions will remain in force for one month. Government advises that this course of action has become necessary in order to prevent any "commotion" or "threat to public safety" that might arise in consequence of the continuing tense and dangerous standoff between Belize and Guatemala over the Sarstoon, and the tipping point that could be caused by the unregulated insertion of members of the Belizean public into this very volatile mix. During the one month period for which the restrictions are to last, it is expected that a diplomatic solution will be found to the problem, and that the solution will provide for safe passage of Belizean civilians along the Sarstoon River.